Wooyahh.. I love snacks! Especially those salty and savoury snacks, my guilty pleasure! Pa Tien is its brand, I think. It was made in Taiwan, but I found the product's name written in Japanese hiragana and kanji. 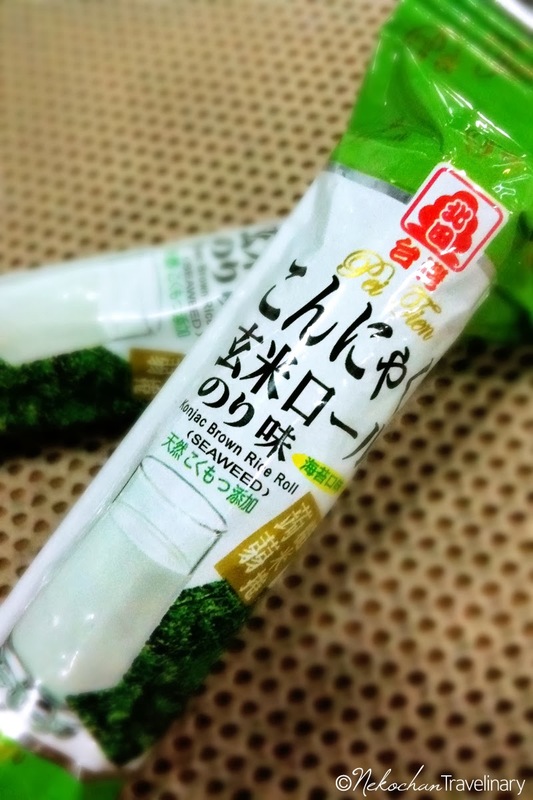 There were also small size text in English "Konjac Brown Rice Roll (Seaweed)". Upon my curiosity, I browsed about Konjac and I found this. 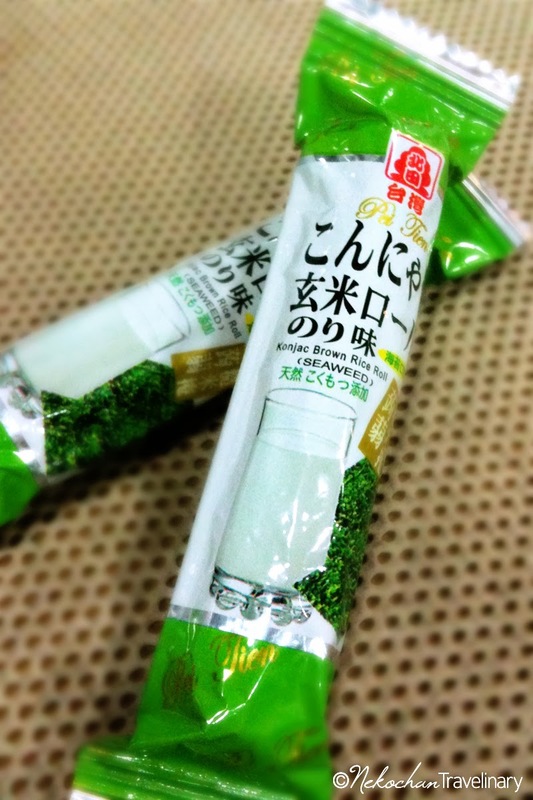 Well, a snack made from konjac and brown rice... supposed to be a healthy snack! 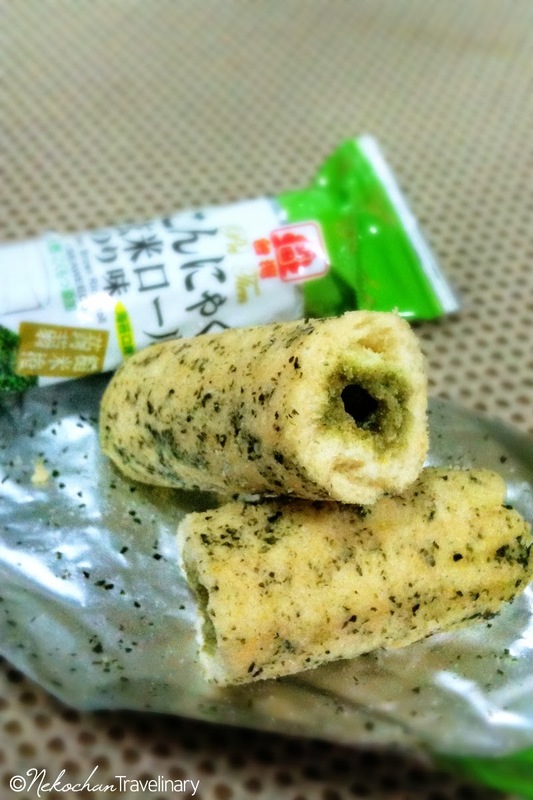 The rice roll was thick yet crunchy, sprinkled with seaweed flakes on its outer part. There's a hollow along its centre, coated with green "layer". From the first bite I could felt a pungent taste of seaweed flavour, especially from its centre coating. I wasn't 100% sure, but I guess it contained MSG to enrich the flavour. Overall it was a bit over-savory in my palate, but somehow I like it, maybe the MSG plays its role. 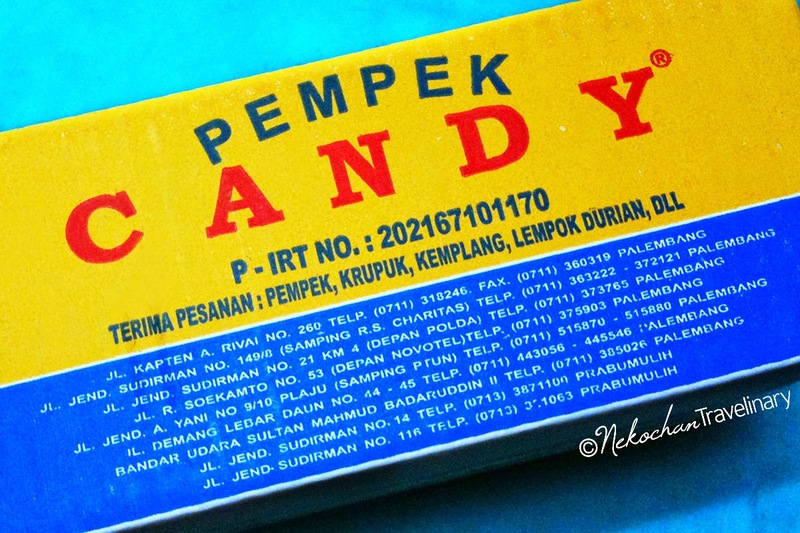 Sometimes I'm "craving" for MSG.. ya.. ya.. naughty me!